From Cabo to Martha's Vineyard and Venice Beach to Hawaii, we've got the fixtures to light your version of coastal living. 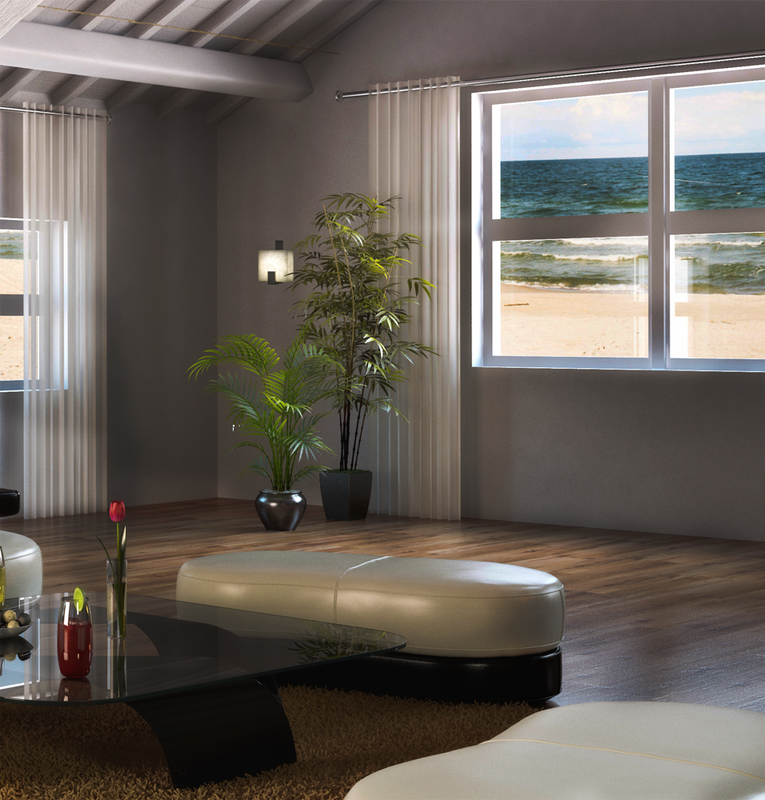 “Coastal Style” has a variety of interpretations depending on where you are in the country. In Key West, coastal colors are vibrant. In Nantucket, the land of white-on-beige, the complete opposite is true. In Hawaii, beachy patterns are botanical and in Martha's Vineyard “coastal” has a nautical feel with stripes, stripes, stripes! Mediterranean villas say “beach” with palm trees, and bohemian California bungalows say it with seashells and wind chimes! Whether tailored and classic or casual and organic, “coastal style” accomplishes two things: it evokes feelings of summer vacation and it blurs the lines between indoors and outdoors. 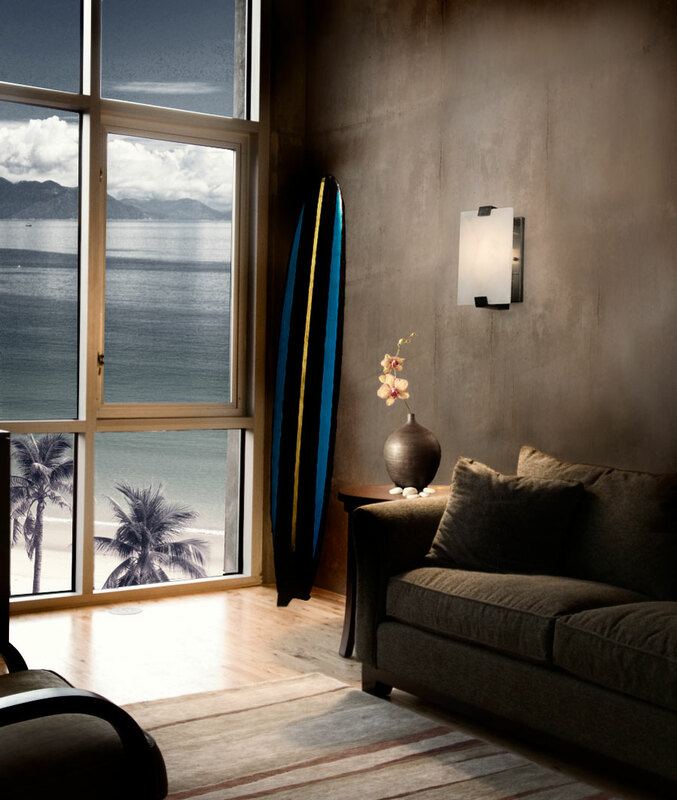 Here are our recommendations for light fixtures that will have you saying summer no matter where you live. While this room has a few coral motifs, it is overall bright and unadorned so that the views outside can take center stage. The Archetype Pendant, designed by Michael Vanderbyl, lends itself nicely to the idea that less is more. Another example of a room that allows the outside to shine is this room featuring the Tokay Floor Lamp, also designed by Michael Vanderbyl. 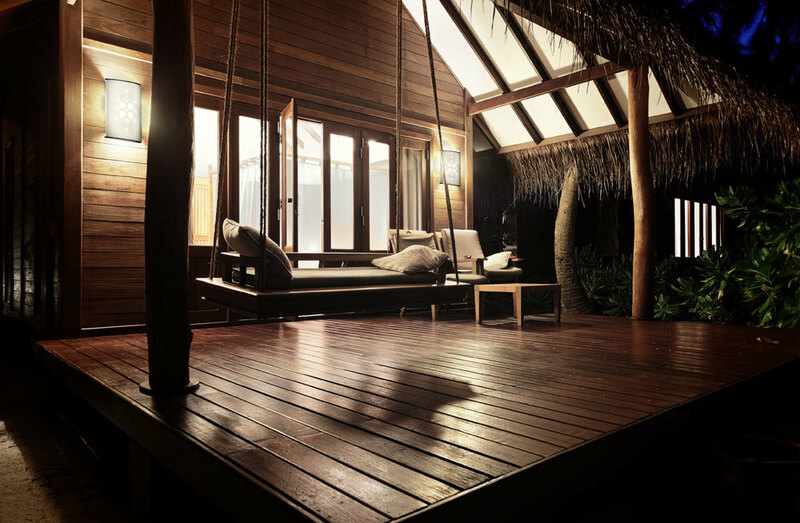 Its classic silhouette and tailored, pleated shade have a nostalgic feeling, which is what a beach house is all about. 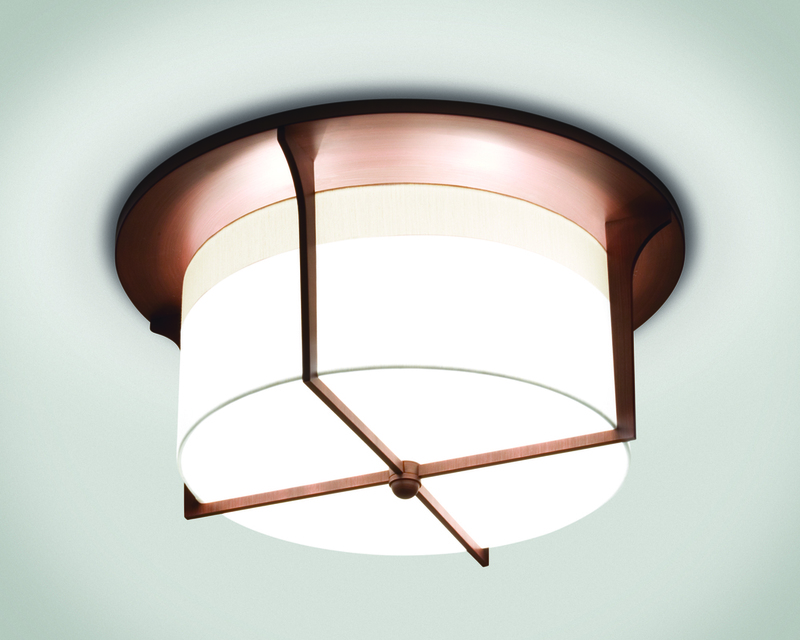 The Soleil Ceiling fixture works well with coastal style because the crisscross design is reminiscent of the metal cages that protect industrial ship lighting. The series by Jiun Ho also includes a large, medium and small version. 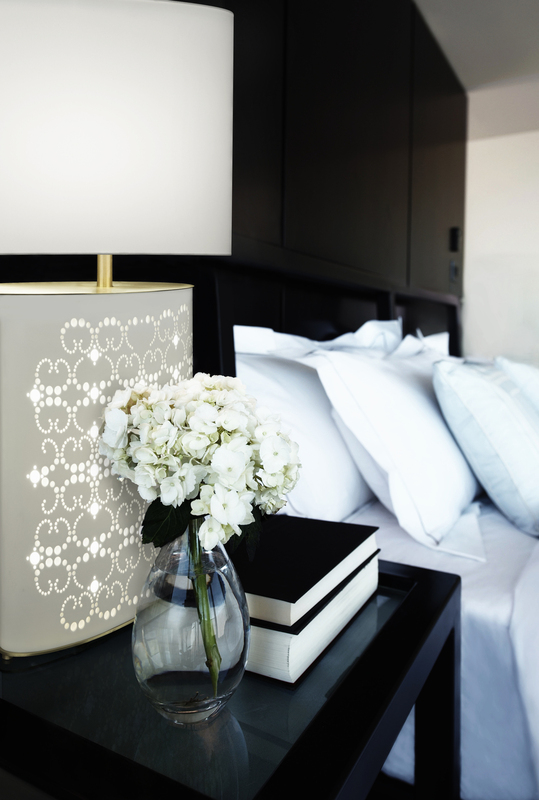 The surprising Alhambra Table Lamp and Alhambra 18" Sconce by Brooklyn artist, Fiyel Levant, for Boyd Lighting is a fresh take on middle-eastern motifs. Arabesques and curlicues cover each side of the oval Alhambra Table Lamp with two different complimentary patterns, yet as if by magic, different patterns emerge when the base is lit. The sconce features a slightly different pattern. Why does it work? It reminds us of Morocco. 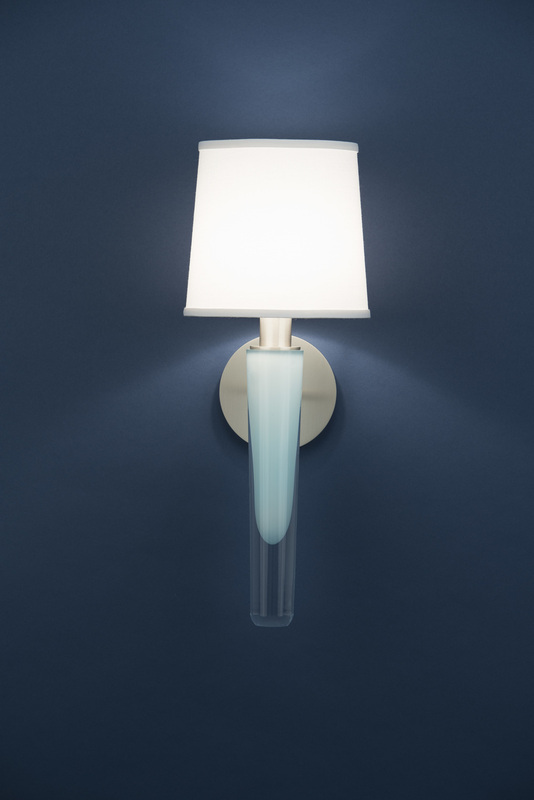 Designed by Jamie Drake, the Grasse Sconce works well in this yacht because of its color and material. As we know, white is a key color in coastal interiors, and the hand blown glass reminds us of sea glass. We recommend the turquoise Grasse for a bolder punch of color if your version of coastal style is more tropical versus New England. Another reason the sconce works in this space is because it balances all of the wood. “Break up organic surfaces with contrast, says Frederick. According to Frederick, weathered wood is a must-have, and the cerused oak on this Bauhaus Table Lamp makes it a perfect fit for coastal interiors. “Picture driftwood: worn smooth and bleached out, with a salt-kissed patina,” she says. “That's the look you're after.” Designer Doyle Crosby achieves this look by applying gold or silver pigment to the wood, which fills and reveals grain lines. The result is casual elegance. In addition to weathered wood, organic materials like the alabaster on the Baguette and Bento sconces are a perfect complement in coastal interiors. “Organic materials… bring a natural warmth and texture to coastal interiors,” says Frederick.